Standards to help producers cut down on antibiotic use among livestock have been detailed on new Red Tractor farm standards ready for October. Every three years standards against which farmers are assessed are reviewed to ensure they match up to what consumers want. Industry and regulatory affairs manager Phillippa Wiltshire said the Red Tractor logo has to continue to stand for something consumers believe in. "That's why we go through this process every three years, to make sure our members are producing what consumers want." Antibiotic use across all livestock sectors has been scrutinised and strengthened standards aim to help producers reduce and record use in line with best practice advice from RUMA, the alliance for Responsible Use of Medicines in Agriculture. Pig producers are now recording antibiotic use on the electronic Medicine Book developed by AHDB Pigs, in preparation for the new standards. Significant changes have been made to the fresh produce scheme to reduce the risk of UK producers falling foul of the same food safety scares which have devastated some European horticultural business. "We have strengthened standards which have been identified as key areas of reputational risk and addressed industry concerns to keep our members ahead of the game," Ms Wiltshire said. 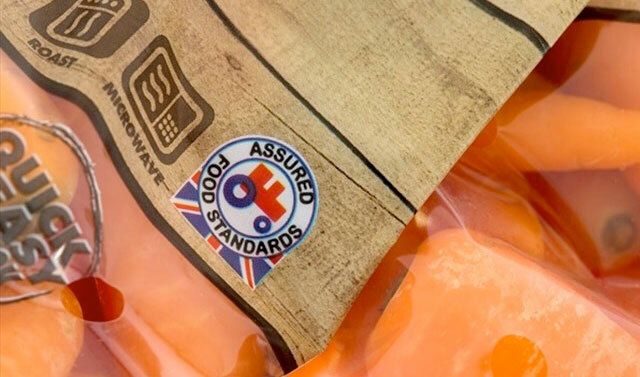 "We recognise that our new standards will require changes in farm management for some, but we also know that continuing to invest in a robust farm assurance scheme will keep consumers coming back to Red Tractor assured products." Packs containing the new standards and details of some of the most significant changes will be arriving on farms over the next few weeks.